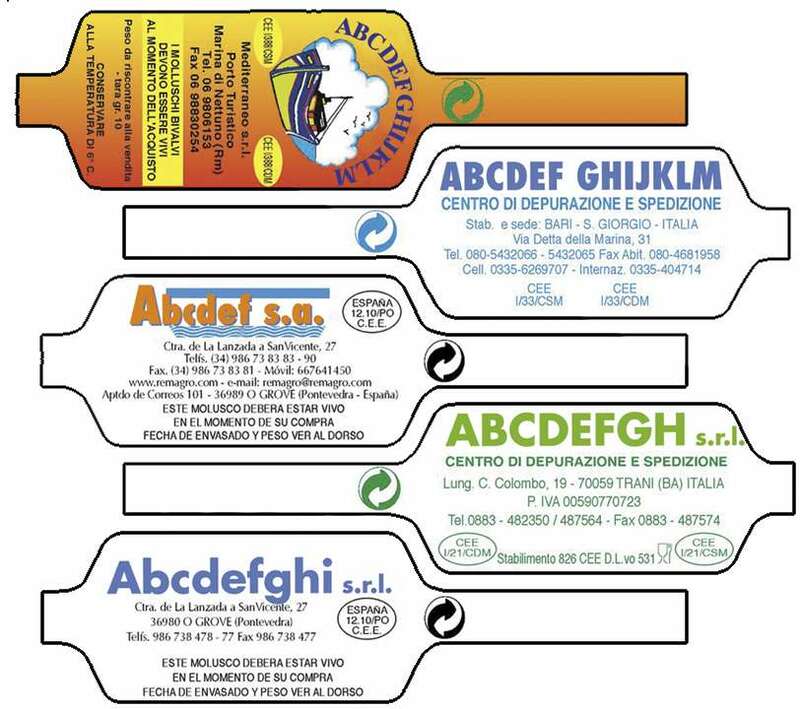 Among the many services offered by our company apart from the construction of machinery for the shellfish processing and packing sector, the custom design and printing of tag labels and ribbon labels to be used with our packing machines is one of the most important and requested. Our labels are produced using exclusively plastic and paper materials that are suitable for the contact with food, complying with all the sanitary regulations that are mandatory for getting, among others, the HACCP and IFS certificates. 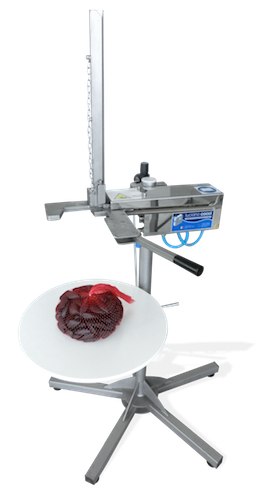 Tie or tag labels are the most common choice in the sector of live shellfish packing, since they are suitable for companies working with more than one kind of product. This type of label, available in many different formats and sizes, allows to have your company logo and all the fixed data (consumer warnings, sanitary number, etc.) 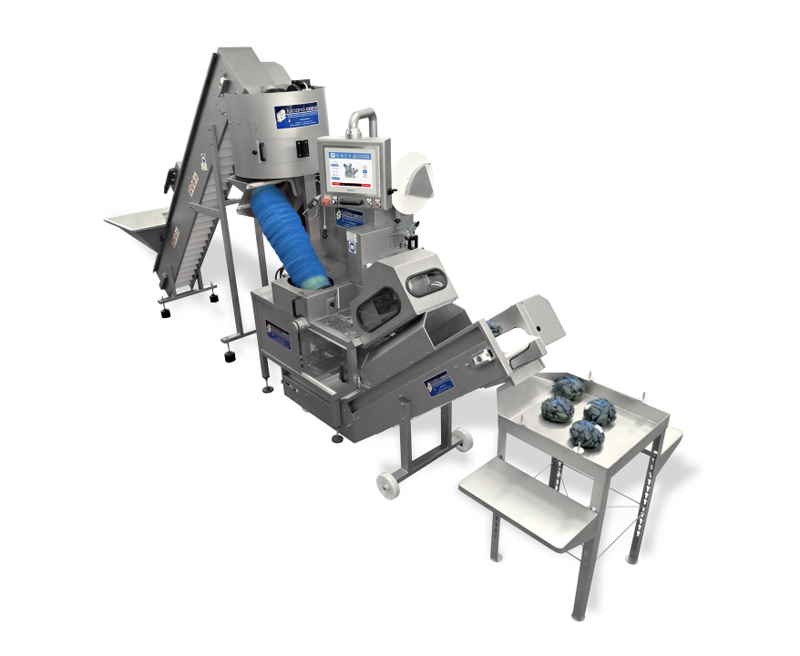 pre-printed on one side, and to print dinamically all the variable data of the product on the other side, by using a thermal printer like the ones that are already mounted in many of our packing machines. Ribbon labels made in food-graded PLP material are generally used by companies working with few products, when all the data relative to the product to pack are pre-printed on one side of the label. Using a ink multi-timber system, like the ones installed on our packing machines, it is possible to print on the rear of the ribbon labels some variable data like lot number and packing date. 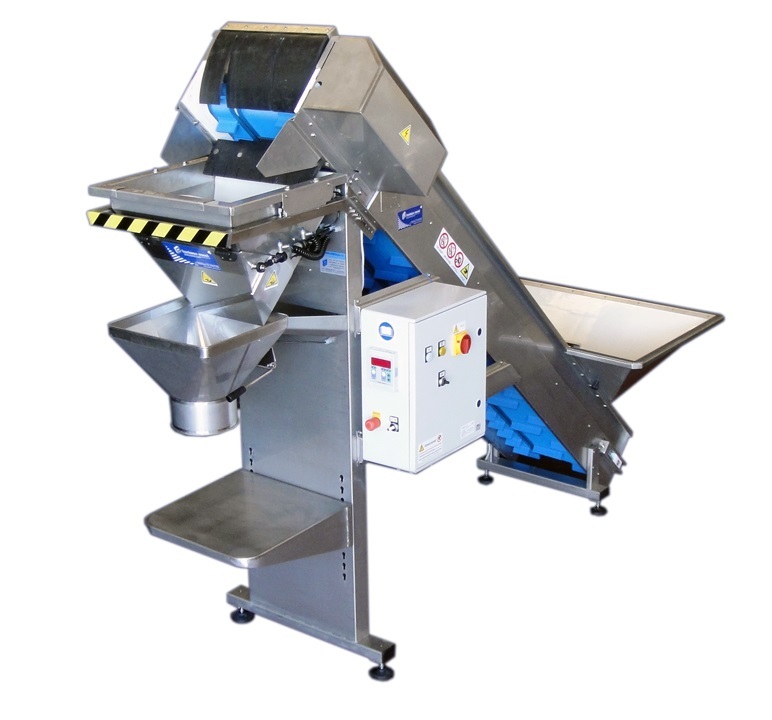 Since our machinery offer the possibility of applying both a tag and a ribbon label on the same bag, many of our clients use this cheap label as an optional space for advertising some peculiar characteristics of the processed product. By choosing protected thermal paper tag labels you can avoid using ink ribbons, thus drastically reducing downtime and direct consumables costs, while maintaining a very high quality, waterproof, and scratch-resistant labeling. Our label production faciliies are provided of advanced printing and cutting technologies that allow us to perform color process printing with a high precision and quality, managing to obtain photographic-level results on evrery kind of supporting material. 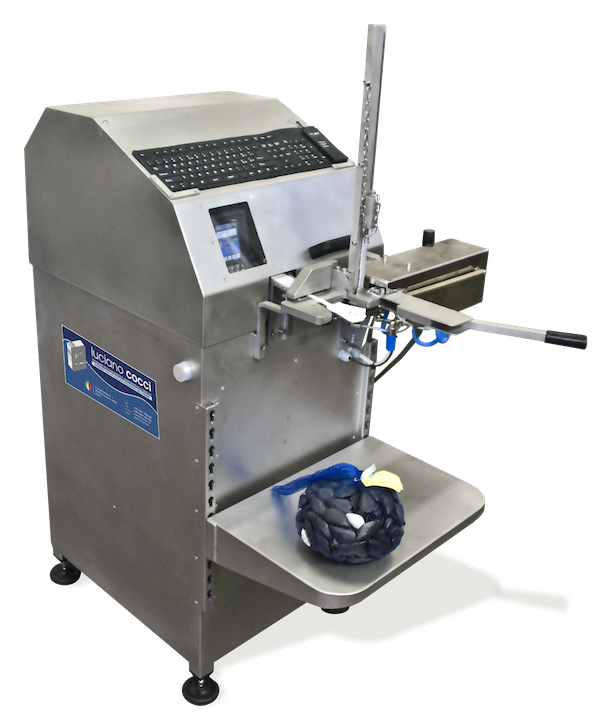 Our flexible organization allows us to address very rapidly every labeling request from the client, being generally able to produce both small and big quantities of labels in just a few working days from order confirmation. Sanitary authorities of the shellfish packing industry constantly update the regulations of the sector by adding tighter constraints, for consumer protection. These regulations must always be harmonized with the necessities and the needs of the companies to be recognized in a crowdy market even through a good presentation of the product. 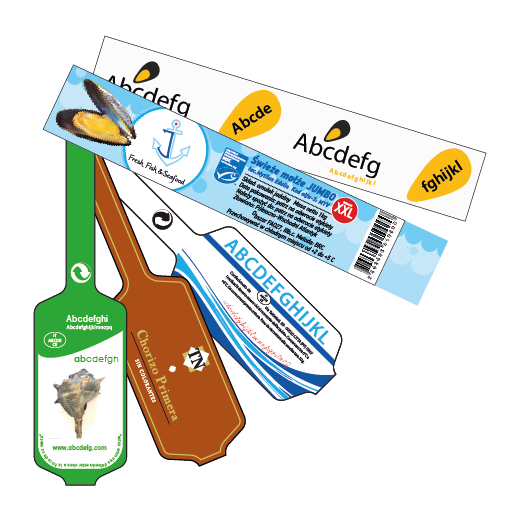 Working from more than 30 years in the shellfish fishingm farming and packing sector, our company got an unbeatable experience in interpreting the sanitary regulations, perfectly embedding them with the advertising needs of our clients during the free custom design stage of the tag or ribbon label layout.